Kenyan security officials are to be questioned by MPs about alleged intelligence failings over the Nairobi’s Westgate shopping centre attack. The head of the parliament’s defense committee says “people need to know the exact lapses in the security system”. There are reports the National Intelligence Service (NIS) issued warnings a year ago. Some 67 people were killed and many injured after al-Shabab militants stormed the Westgate centre in the capital Nairobi on September 21. Al-Shabab, a Somali Islamist group, said the attack was in retaliation for Kenya’s military involvement in Somalia. 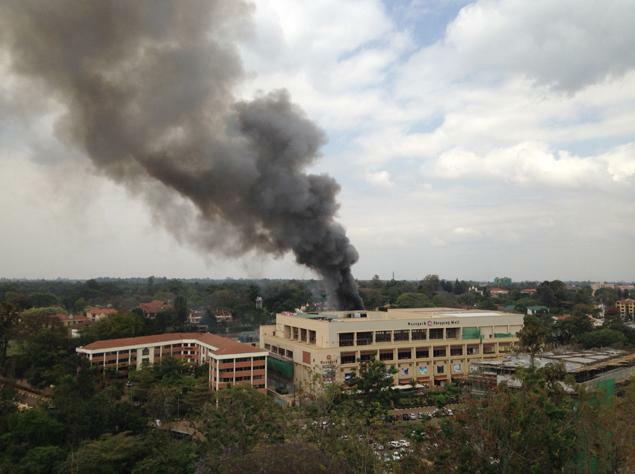 According to a BBC report, the militants hired a shop in Nairobi mall in the weeks leading up to the siege. Security officials – including the head of the (NIS), Michael Gichangi – are set to appear before the parliamentary defense committee later on Monday. Briefings were given to the ministers “informing them of increasing threat of terrorism and of plans to launch simultaneous attacks in Nairobi and Mombasa around September 13 and 20, 2013”, Kenya’s Daily Nation had quoted counter-terrorism reports as saying. A dossier from the NIS – amounting to more than 8,000 pages according to Kenya’s Standard newspaper – also suggests the Israelis issued warnings that buildings owned by its citizens could be attacked between 4 and 28 September.